Talladega Superspeedway’s Kids VIP Experience Presented by Children’s of Alabama Offers Loads of Family Fun! Create memories that will last a lifetime! 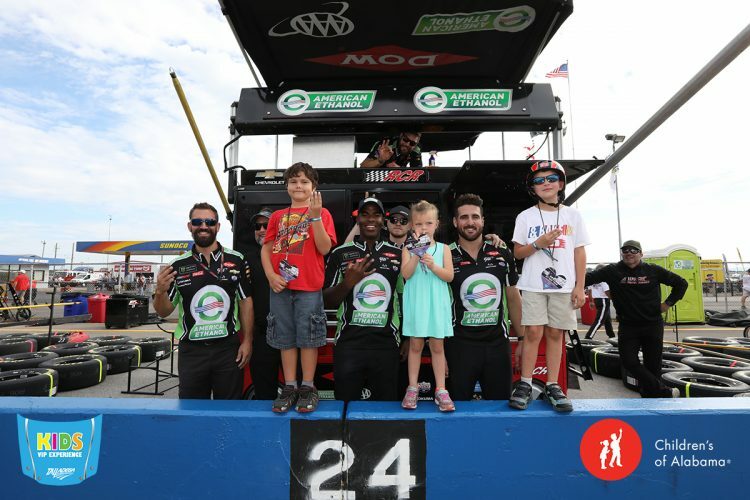 Talladega Superspeedway’s Kids VIP Experience presented by Children’s of Alabama offers incredible, one-of-a-kind opportunities that the entire family can enjoy. Prior to the drop of the green flag for the GEICO 500, April 28, children 12 and younger have the chance to participate in an array of family-friendly activities on race morning. The Kids VIP Experience presented by Children’s of Alabama provides unique, behind-the-scenes access for kids at NASCAR’s biggest track. Families that purchase admission tickets (kids receive $50 off regular pricing to the GEICO 500) as well as the Pre-Race Pit Pass Upgrade ($75 in advance) for Sunday are eligible to participate. There is a “two kids per one adult” limit. For more information on the Kids VIP Experience presented by Children’s of Alabama and the Pre-Race Pit Pass Upgrade, simply visit www.talladegasuperspeedway.com/kids or call 855-518-RACE (7223). Kids 12 and younger also receive FREE admission to Saturday’s (April 27) MoneyLion 300 NASCAR Xfinity Series event and the General Tire 200 on Friday (April 26) for the ARCA Menards Series. Friday’s slate also includes practice sessions for both the GEICO 500 and MoneyLion 300, while qualifying for the GEICO 500 is on Saturday.